Welcome To Young Blizzy Music Radio/Blogs It's All About Entertainment, Music, News, Events,Lifestyle, Fashion, Beauty, Inspiration. On this episode of Soundcity’s My Music & I, Seyi Shay talks about five songs on her recently released “Seyi or Shay” album, her prospective indigenous and international collaborations, best and worse performances on stage, and many more. Official music video of Olamide performing his album title track “Eyan Mayweather”. Mr Raw releases the visuals to his recent collaboration with Phyno titled – Odi Okay. Talented producer Kid Konnect drops a new song and video titled – “Judgement” featuring Nneka, M.anifest and Loose Kaynon. “Here’s the official 2015 Ovation Christmas Carol Theme song tagged “HAPPY PEOPLE”. The All-Star cast this year includes Oritse Femi,Aramide, Ketchup, Toby Grey, JJC , El-Hi, S.T Immaculate, Jeffery andTee-Q. The song was produced by ace music producer Fliptyce. All the acts brought their diverse music styles to the forefront and the overall output is quite impressive. “Jahborne keeps dishing out good music on the low. The CEO of Afromatrix who recently survived a car crash is back with a brand new Reggae tune called easy road. Easy Road is just a teaser for what is too come in 2016. 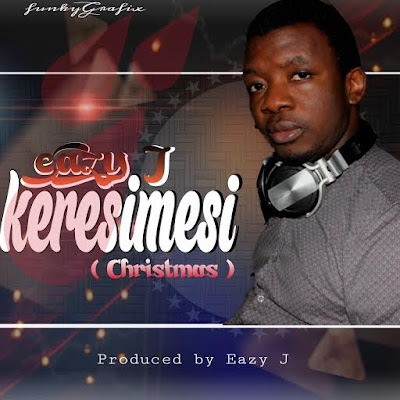 Naija Eu top Producer / Gospel Artist Ezekiel Joel aka EAZY J dropped a sweet single KERESIMESI (CHRISTMAS) this song is for the season the viral video is trending wide. Share this song with ur friends and family to wish them a happy Christmas. Men…is it only me or does someone out here also think that Tekno has being on fire for the past few months now! This Made Men Music artist is not joking around as he rounds up his highly successful 2015 with this beautiful piece titled – Maria, featuring fellow label mate, the awesome Selebobo. THE MOTIVE OF THIS CHARTS IS TO PROMOTE NAIJA EU AFROBEATS MUSIC AND ALSO TO REGULATE THE GROWTH OF AFROBEAT MUSIC GLOBALLY.